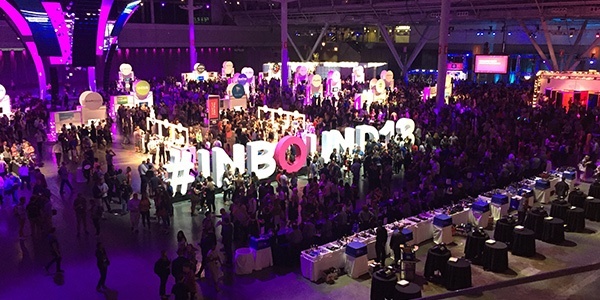 One of the most surprising things I learned at the INBOUND 2018 Conference in Boston this year: if you focus too heavily on lead generation, you might miss some other marketing trouble spots that could be costing you leads. These were a few of the insights I picked up at the HubSpot-hosted event. Most of them centered around three topics our clients ask about all the time: recommendations on the best key performance indicators (KPIs) to use now, account-based marketing (ABM) ideas, and what’s new in email marketing. When it comes to key performance indicators, B2B organizations tend to focus on the number of leads their content generates, but this year’s Inbound speakers highlighted the need to establish and consider KPIs at every phase of the sales funnel, not just the end result, which is the number of leads generated. That means taking a look at conversions earlier in the cycle that could explain why leads are high or low: such as banner ad click-throughs, landing page bounce rates, or the time visitors spent on a landing page. Metrics like these could indicate that visitors are dropping off, and not becoming leads, because of the higher-funnel messaging tone or implementation. Maybe the landing page doesn’t engage in terms of content or design, or maybe an image is confusing audiences. There could be any number of reasons explaining campaign performance, so looking at KPIs in the funnel from top to bottom should help highlight the steps buyers take before they become marketing-qualified leads. Another key conference takeaway around KPIs: use a five-year outlook when figuring out if the cost-per-lead (CPL) makes sense to you. If you’re basing CPL off the one-time value, your budget is going to be substantially less. Factor for the five-year value and you might be willing to pay more for a qualified lead. Finally, speakers shared that there are no best practices when it comes to optimizing conversion rates. The best advice is to have a plan, and regularly rank optimization ideas based on the level of effort and estimated impact, and then make adjustments. Organizations should always be testing different approaches in terms of conversions and then make changes based on what’s working best. This is where having an experienced marketing partner like Point To Point will help. When it comes to account-based marketing (ABM), the biggest takeaway from speakers at this year’s Inbound conference: ABM isn’t about huge budgets like many people think, but it is about forming a strategy to focus on the target accounts. Figuring out which accounts to target and nurture doesn’t need to be expensive. But if you can’t go all in on ABM when it comes to time and money, then it’s probably best not to implement the tactic, because a poorly executed ABM strategy is likely to fall short. Speakers also shared some insider tips for organizations that execute ABM campaigns. As a way to gain insights about customers, one idea is to listen to earnings calls to learn what’s important to your prospects. And consider implementing a “we miss you campaign” to nurture a contact who has moved to another company within the same industry. Inbound speakers also emphasized the importance of having alignment between sales and marketing for ABM campaigns to be effective. One interesting statistic from Wheelhouse Advisors that was shared at the conference: total alignment of sales and marketing can lead to a 208% lift in revenue. Inbound speakers also shared some of the current findings when it comes to email marketing. Speakers emphasized what we already know about email: that the best email programs are ultimately about permission, cadence and content. You have to ask for permission to send target contacts emails. When it comes to cadence, there is no universal “best day” to send emails. The secret is testing different days and times and then see what your subscribers’ actions tell you. There’s also value to cleaning up email marketing efforts by opting out or opting down unengaged email recipients. Relevance is just as important with email as it is with other forms of content: organizations need to create content that will engage the audience every time. Use marketing automation tools like HubSpot, Pardot and others to help determine what content on your site is resonating with your email list and produce more of the same.